We offer various ways to store your personal items. From household goods, when that extra space is invaluable, to nik naks that you just can't bear to throw away, our 20' shipping containers offer a secure alternative to your garden shed. Are you thinking of moving home ? Well don't worry about having to move all your furniture and personal belongings all at once - rent a container (minimum of one months rental) and relax you have time on your hands. How about a classic car that needs to be inside but the garage is needed for something else? 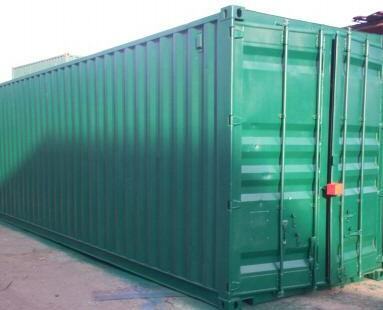 A 20' shipping container is perfect for secure storage.